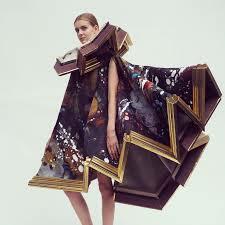 Viktor and Rolf is a fashion house founded in 1993 by two designers Viktor and Rolf Snoeren. Ever since, the store has grown into a wide range of chain stores distributed all over the world. However, the head office in located in Amsterdam at Herengracht 446 avenue. The design of the website provides this information as well as the location of the other stores. A virtual analysis has been provided through the use of google maps that represented the physical location of the stores and provides visitors with a way to navigate the site. The store deals with two major brands; fashion and fragrance. The specialization in these two brands has enhanced the stores to cut across the globe with a remarkable yet inevitable unchallenged quest. The fashion designs are target for women while the fragrance cuts through both sexes. The design of the site gives the store an alluring and attractive framework. The design of the online store can be attributed to the products that the physical stores handle. From the point of a designer and programmer, the site has managed to captivate the attention of the visitors. From the unique, yet sleek design that shows exemplary skills in creativity, the top down arrangement of the navigation elements provides an easy way to navigate and discover the store. Programing and user interface design principles have been observed. The ability to utilize a background theme that is not jumbled with text but maintains clear state shows professionalism and advanced skills in understanding the needs of the viewers. High quality images are used and the loading of the site is sporadic. The rotating dish which encompasses the elements of the site raises the anticipation of the viewer on what is to open. The quality of the site augurs well with the products handled by the stores. It can be concluded that the design, product and service have been integrated perfectly. Feng, Liang. 'Gold Principles of Website Design——Simplicity [J]'. Art \& Design 9 (2005): 070. Print. Raward, Roslyn. 'Academic Library Website Design Principles: Development of A Checklist’. Australian Academic \& Research Libraries 32.2 (2001): 123--136. Print. Sephora,. 'Viktor & Rolf'. N. p., 2014. Web. 20 May. 2014. Viktor-rolf.com,. 'Viktor & Rolf - Fashion Store Locator'. N. p., 2014. Web. 20 May. 2014. Zhang, Ye, Xiaogaauang Huang, and Hongfei Wang. 'Computer-Human Interaction: The Principles Of User Interface In Chinese Website Design'. 2 (2009): 46--49. Print.